Dhaka, 24 April, Abnews: Prime Minister Sheikh Hasina will be awarded with the prestigious Global Women's Leadership Award in recognition of her leadership role in expansion of women education and women entrepreneurship in Bangladesh, Asia and Asia-pacific region. Global Summit of Women, a US-based NGO, will confer the award, a lifetime honour, to the Bangladesh premier during the "2018 Global Summit of Women" in Sydney, Australia on April 27. 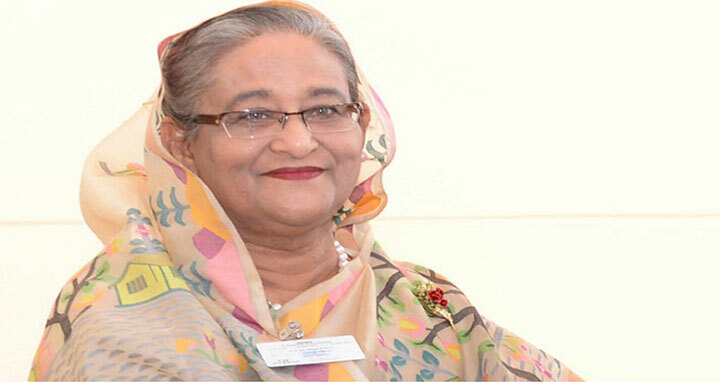 Sheikh Hasina will leave Dhaka for Sydney on April 26 afternoon to attend the two-day summit beginning on April 26 at the invitation of her Australian counterpart Malcolm Turnbull, said Foreign Minister AH Mahmood Ali at a press briefing on the PM's visit here today. However, Ali said the Global Summit of Women also invited Prime Minister Sheikh Hasina to attend the conference. The Global Summit of Women organises such programme to encourage the economic empowerment of women and ensure it across the world. As part of the initiative, the organisation nominates eminent personalities from across the world to honour them in recognition of their outstanding contribution in expansion of women education and their empowerment, the foreign minister said. Previously, world's eminent personalities like Japanese Prime Minister Shinzo Abe, former UN Secretary General Ban Ki-moon, former President of Chile Michelle Bachelet, UN High Commissioner for Refugee Sadako Ogata, former President of Ireland Mary Robinson, among others, received the Global Women's Leadership Award. Apart from joining the summit, the Bangladesh premier will also hold bilateral talks with the Australian Prime Minister Malcolm Turnbull on April 28. During the meeting, the two leaders will discuss human resources development, trade and investment, power and energy, agriculture, security, education and sports, the foreign minister added. Ali hoped that Prime Minister Sheikh Hasina's Australia visit will add a new dimension to the relations between the two countries apart from strengthening Bangladesh's ties with others Commonwealth countries. Foreign Minister AH Mahmood Ali, State Minister for Women and Children Affairs Meher Afroz Chumki and senior government officials will accompany the prime minister during her Australia visit.